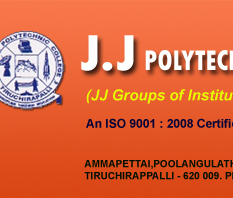 The Department of Computer Engineering is our part of J.J. Polytechnic College. 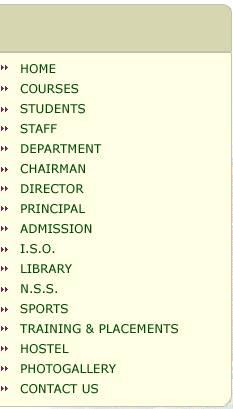 The Department of Computer Engineering has many areas of Interest like Hardware, Networks, Data Structures and Data Base Management System. Technically sound eminent staff from knowledge base our department. The Department has well equipped computing laboratories with latest computer system and rich repository of software covering a wide spectrum of applications. The Department has 3 Computer Labs with over 250 systems. The computer lab has 3 IBM Servers with Intel Duo Core Systems with LCD Monitors. All the Computer labs are fully air conditioned with sufficient power backup. 2 Mbps dedicated Bandwidth connectivity is available. 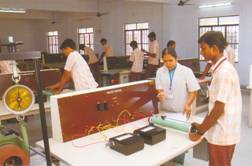 Our aims at imparting knowledge and practical training on basic and advanced concepts of Electrical & Electronics Engineering such as Electrical Machines, Electrical Circuits, Instrumentation, Microprocessor, Power Electronics and Control Engineering. The Department has the following fully equipped laboratories. The Department has dedicated faculty to train the students in all the aspects of Electrical Engineering and Human Development.